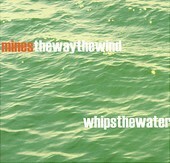 theWaytheWindWhipstheWater, the debut full-length from Seattle indie-rockers The Mines is pensive and ethereal, preferring to use space rather than noise to drive the songs. And in doing so, the band's tricks work, as it is the silence and the space that consume you, not the guitars or crashing rhythm section. The feathery songs float around you while they tinker with their instruments and calmly, almost passively, play a collection of songs that stream well from one to another and make you feel as if you're floating with them. Though, the band isn't without their rock, which is buried underneath the ethereal, giving the songs dynamics and an edge, an advantage they make full use of. I'll give it a B.